Saint Joseph''s College Blackpool school days. Ah, yes ... that sad time. Thanks for the mention, Geriaviator ... things aren’t quite same without Dennis, somehow! However, we must truck on. Just as Dennis did! Last edited by MPN11; 25th Jan 2019 at 17:09. Many thanks Geriaviator for that superb tribute to Danny; hard to believe our press did not accept your obit, a fitting tribute to a man who deserved its publication far more than some others which make it into print. This was in my Parish Magazine this month. I did 2 years National Service in the RAF & after suitable training at RAF Locking (Somerset) on "Ground Radar" I spent 1960 based in tented accommodation at the tip of Cyprus tending a static "mobile radar station" called No. 280 Signals Unit. Songs were sung and the following is an attempt to recall the words of one in which - as it rhymed appropriately - we substituted the name of our unit 'Two Eighty' instead of the 'RFC'. Now I need help to piece together the true wording and any other hints that it really did begin its Airforce Life in WW I.
and he called for his Bomb Aimers three. Now all ye Bomb Aimers are very fine folk, and very fine folk are Ye. For there's none so fair as can compare with the boys of the RFC. How's your Sister, She might ! My recollection is that the song went something like this. Now every pilot was a fine type and a jolly fine type was he. I just couldn't care less said the pilot, merry, merry men are we. There's none so rare as can compare with the boys of squadron G.
3 As 1 but for pilot read bomb aimer. Left left steady, dummy rum said the bomb aimer etc etc. 7 As1 but for pilot read rear gunner, I'm bloody cold, bloody cold said the rear gunner etc etc. No idea whether originated from WW 1. The words you have provided fill out a large missing piece in my recollection, as there are the fuller verses & covering every station in a bomber. Certainly there were no such large crewed bombers in WWI but I have a nagging feeling that 'Old King Cole' sired a great many adapted versions to the original more wholesome refrain. I suspect 'tween original pub drinking refrain and the military it changed from a simple song with a mildly bawdy word or two into more specific spin-offs to suit whatever unit was doing the singing. That multiplication happily seems to have ensured the basic song was preserved (improved on ?) by quite a few succeeding generations. I'm out of touch with today's equivalent chaps in Rugby Clubs or their HM forces folk, so I can't enquire if the 'Old King' is still extant; never the less the origins surely comfortably precede WWI. I am therefore convinced the 'King' was likely & as desired overlaid with RFC wording here and there and then he, being a man of the times, quickly adjusted his text to match developing military requirements for a well known (thus singable by all) song with the camaraderie it generated. It's always a shock to think how very few years - only about a dozen - separate me as an infant school child from those young men at war for us. Even my brother (91 this year) was just too young in 1945 and yet his airforce career including stunting Meteors was in 'peacetime'. I hope that with Tarhappy at 93, who is one of the very few of that age contributing to this forum, can inspire we other forum watchers who have manifestly enjoyed the many earlier reminiscences here to find sufficient copy to keep this tribute to the generation before mine going strong ! Last edited by mikehallam; 16th Feb 2019 at 10:37. Reason: sp English. 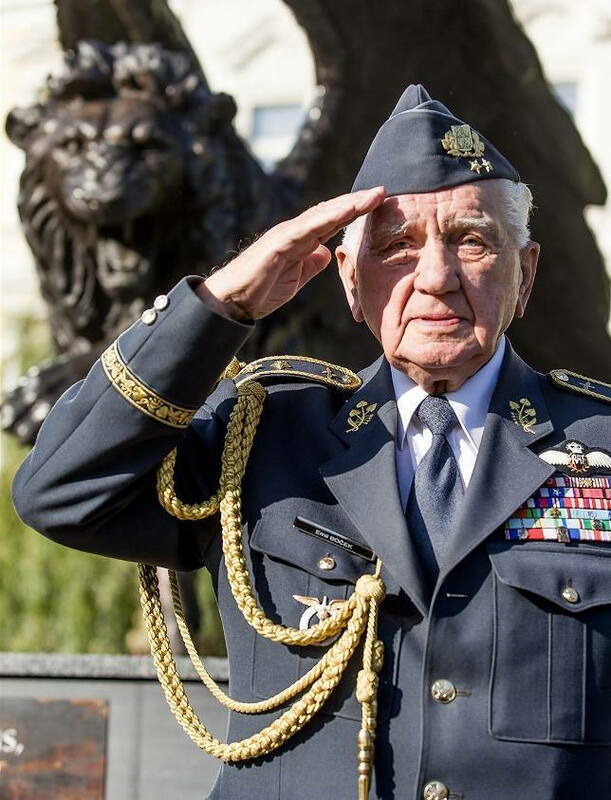 Last living Czech RAF fighter pilot who fought in WW2 Emil Boček has 96th birthday today. I hope it is appropriate to put the information in this thread. He is the last of the heroes who helped to keep the honour of our nation high in the darkest hours. Location: Not far from a lot of solar panels. Grateful thanks for your service. Dobrý den pane Boček ... Všechno nejlepší k narozeninám! In Jul 1993 I took a VC10K to the Hradec Kralove air show on static display. On the first day of the show, we noticed a VIP enclosure not far from our jet, in which there were a number of elderly gents in rather faded 'RAF' uniforms. They beckoned us over, so we went to chat with them to discover that these old chaps were members of the Czech Air Force who'd served in the Second World War. Fascinating old chaps with some tales to tell. At one point a young fellow came over and asked us if we'd like a drink and, if so, please just ask. Not sure of the protocol, after he went away I asked the old boys who he was - "Boss of Czech Air Force", they replied - and indeed he was. Really good to talk with these brave old chaps who very much still had their marbles - doubly so when enjoying the hospitality of the Czech Air Force! We all miss him, reefrat. Our virtual crewroom wasn't built to last so it is crumbling away with the years, damp seeping through its asbestos roof, condensation on the single-skin brickwork, glass cracked in its metal windowframes, our old stove cold and rusting, beside it a worn armchair that cannot be filled again. We're fortunate to have known Danny and those who went before, and we treasure our memories. Agreed completely ... it's been the literal end of an era as far as this thread is concerned. Where will we find his like again? The sun sets on a generation. I read these posts with interest and sadness knowing that living history is turning the pages. Personnel memory is becoming dusty paper work in the archives, with no feeling for the times merely hard type on paper. In my brief service of her Majesty during my final months as a gash PO awaiting my release date after being chopped from the JP course in Linton on Ouse I was assigned to a station visit detail. So me and my fellow choppie arrived at the guard room to meet the coach. On board was a motley group of RAFA gentlemen, so off we proceed for the standard station visit. On about the third stop, this being the tower, where my colleague is rattling off his standard spiel I note that we are not really holding the attention of the group. So I politely enquire of one of the group as to what is wrong, "Oh your doing fine its just this is our third visit", "Third visit! why come again?". Well says the RAFA man " We only really come for happy hour". "Would you rather go straight to the bar? ", I leave you to guess the answer. So a quick phone call to the mess Sergeant and a brief explanation of the situation I was told the shutters will be up in 5 minutes. Well what an evening. Apart from being the standard Happy Hour, we had a Hawk pair divert in with a senior with a big fat stripe who was very much of the old school when it comes to beer. However my abiding memory of the evening, tinged with an excess of beer, was chatting to a Lancaster tail gunner who was the only surviving member of his crew which had attempted to crash land after getting to low to bail out after flack damage and engine failure and the oldest member of the group who I did not talk to until the end of the evening, a WWI Sopwith Camel pilot.. I look back and think how privileged I was to be able to talk to these gentlemen and how much more I would like to have done. Clear skies and good beer to all you fine aviators. I miss Danny too but hopefully this thread can be maintained in his memory. Geriaviator, re the state of our crewroom. If The Clerk of Works/Ministry of Public Blunders and Wonders are unable to fix the jobs apply to your friendly SATCO. I knew an ATC Sqn that could do most jobs in fact it tendered to sort out the Officers' Mess garages at a very competitive price! It is surprising how many people had extra strings to their bows, artists/DIYers/engineers. 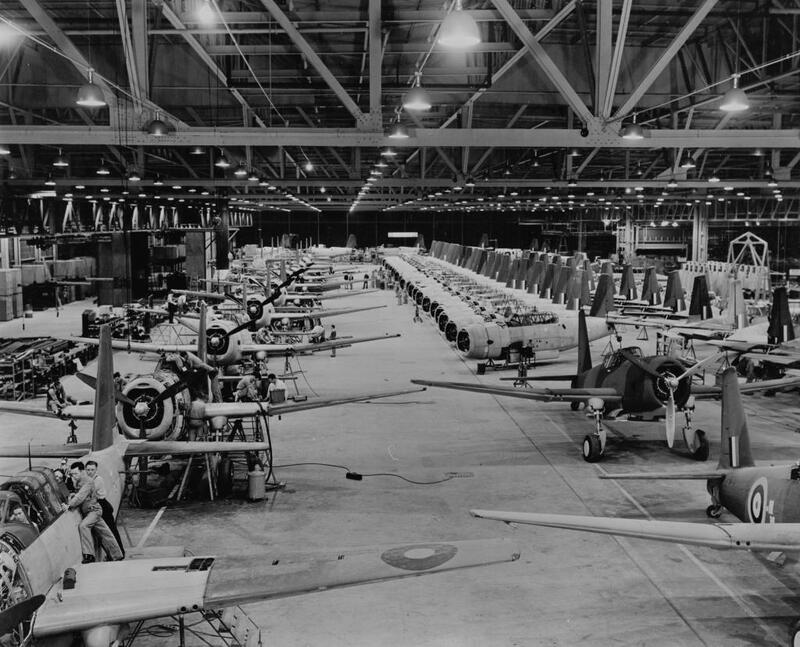 Heaven for Danny may have been a Spitfire, but there's probably room there for a VV or two! Not sure how appropriate this request is, but knowing how expert so many contributors are on this thread, maybe someone can help? As mentioned earlier on in the thread, my father, Major Harold Pettinger, after a 'interesting time' in the Western desert and then the first wave of the Chindits, was then in charge of supplying the Chindits in Burma by air using Dakotas. He spent a fair amount f them in the air, sometimes visiting the airstrips in the jungle behind enemy lines. At the end of this operation in December 1944, he was posted to Western India to prepare for a similar operation against Japan, though this was cancelled. There is then a gap in his otherwise quite detailed memoirs until his repatriation in May 1945. This gap did not bother us, until recently an old friend of his mentioned , in passing, 'did your Dad ever tell you about Yalta?'. It seems that the old friend had, some years ago, visited the Livadia Palace where the Yalta Conference took place in Feb 1945, where there is a museum dedicated to the conference. The displays are all written in cyrillic, apart from the names of the UK and USA participants, and the old friend had noticed my fathers name written as being an adjutant to someone at the conference. When, later, the friend mentioned this to my father, he reluctantly acknowledged that he had indeed been at the conference, and told an anecdote about an unauthorised foray into the town with his Russian counterpart, but revealed nothing else. The friend assumed that we all knew about this, but in fact my father had said nothing. The time gap in his memoirs would coincide with the Yalta conference, but we have been unable to verify my father's attendance, nor what or why he might doing there. The Livadia Palace museum does not reply to our enquiries (unsurprisingly, in view of the political situation in Crimea), and my fathers old regimental museum knows nothing. The extensive Yalta Conference files at Kew are not digitised, so are available only to a personal visit once one has registered as a researcher. We have applied for my fathers official military record, but these have not yet arrived. Does anyone here have any idea how we might check if my father actually WAS at Yalta in 1945, and why?